Lecturing in the midwest, Oscar Wilde meets pioneers and native Americans. 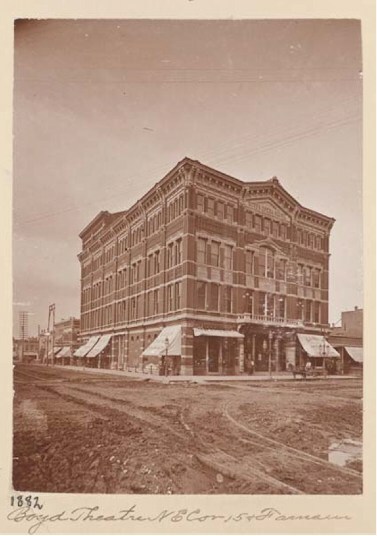 This is Boyd’s Theatre and Opera House in Omaha, Nebraska, as it was when Oscar Wilde lectured there. By the time Wilde arrived in Omaha in March 1882, the geography of his American adventure had started to take shape.